You aren’t tired of shopping yet are you? 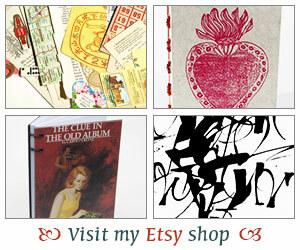 Every year I love to feature Etsy shops that have the perfect gifts for book lovers. Unfortunately Etsy has changed some features and I can’t put together a treasury, which was a collection, and now you have to go through Pinterest or something else like that. I can barely keep up with my blog so I’m not into Pinterest at this time but I still put together a round up of some fun stuff and hope you’ll enjoy the links to some cute gifts. Wrap your gifts with this literary gift wrap. The shop also has Edgar Allan Poe, Oscar Wilde and others! You can never have enough bookmarks so check out this corner bookmark. The shop also has notepads and cute felt keychains. Something cute for your jacket (I love to put pins on my book totes). Lots of fun laser cut pieces! Speaking of book totes, I love this one. There is also a mug with the same quote. So cute. Keep track of your book club dates and other important dates with this Literary Calendar. The shop has other adorable goodies like pins, postcards, etc. Finally, you all need stickers for your calendar so check out all the planner stickers that Andi has in her shop. My favorite set is this one of course. Now tell me where you love to shop for your bookish gifts. I still have to buy some presents (maybe even for me – haha). Have fun shopping, have a great weekend and more bookish talk soon! I love Etsy. I ended up getting a few gifts from sellers on Etsy this holiday season. 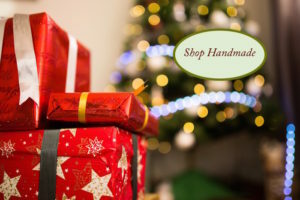 You can find some very unique items there–and I love that so many are handmade. What FUN STUFF! squeeee. Love the gift wrap. Happy Holidays!